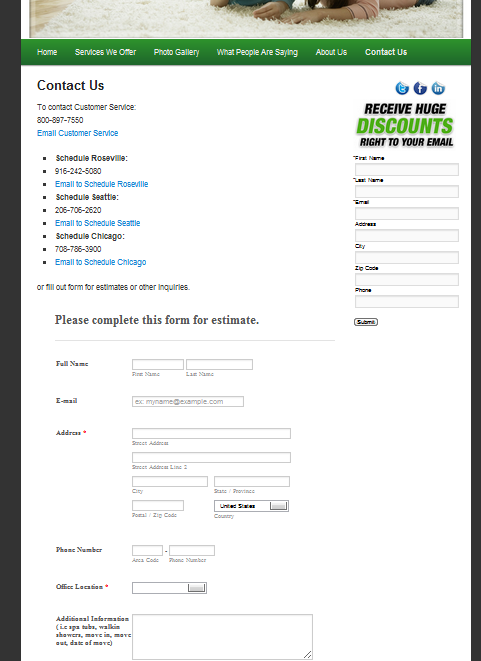 Can you provide us the URL of your WP website where the form was used? We will check. I checked already your forms, and they are all active. You have 2 forms only on this account. And I will speak to owner about signing up for the middle package too but need permission first. Air Duct and Dryer Vent Cleaning, and Housepainting. Will suffice to assume that everything are sorted out already? I am a bit confuse by your replies. But I can see your form on the website you provided. Please inform us if further assistance are needed. Thanks. Please try to re-embed the form to your website using iFrame perhaps to avoid code conflicts. Let us know if the form appears this time. Please provide us clear details if you are still having issue with the form embedded on your website.